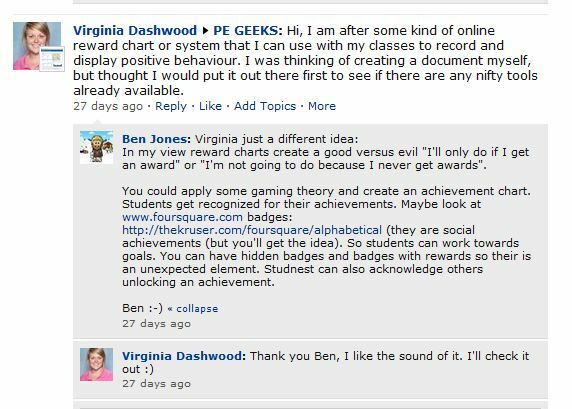 Posted on February 18, 2011 by Brendan Jones Posted in teacherstuff	. 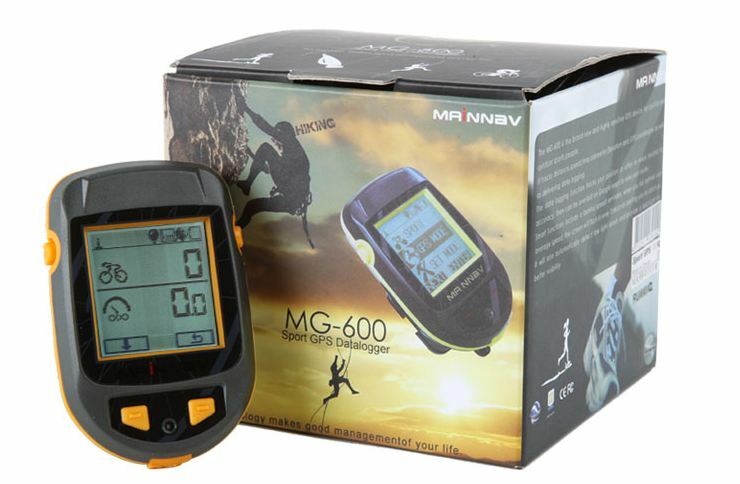 Recently I bought some MainNav MG600 GPS dataloggers, initially to add some interest to my Yr 10 Physical Activity and Sport Studies (PASS) class. They are pretty cheap and relatively easy to use (the interface is a bit clunky, but OK once you get used to it). I believe they have a lot of potential in the many aspects of the PE courses and other physical activity experiences we offer at school. 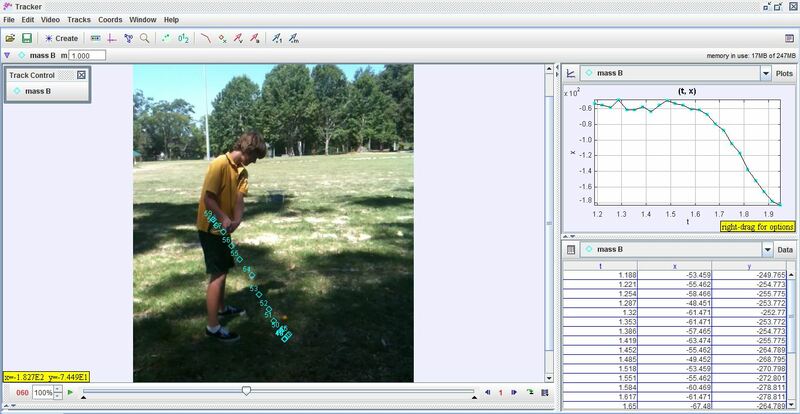 Today in class, as a test, I had one of the students wear the unit and then got him to move around on our school oval. I got one of his mates to watch him and draw his path on paper as well. I will reveal the analogue and digital versions of the tracking in our next theory lesson. The students were already curious as to how the datalogger would perform. I’m looking forward to an interesting discussion. 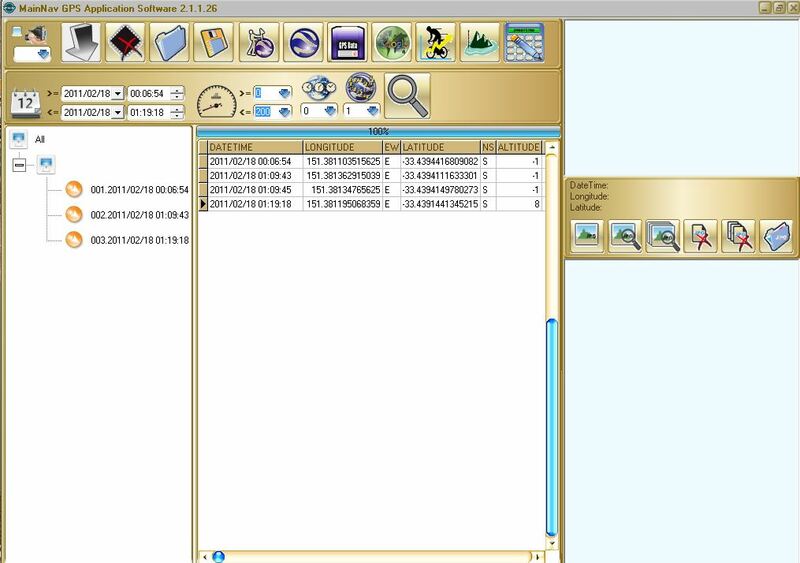 The software that comes with the unit acts as a download interface. You can zoom in as far as you want. As you can see, he didn’t move much (doh! ), but it tracked his path. Our next test will be to use all of the available units on players in a touch footy game and track their movements for analysis later. 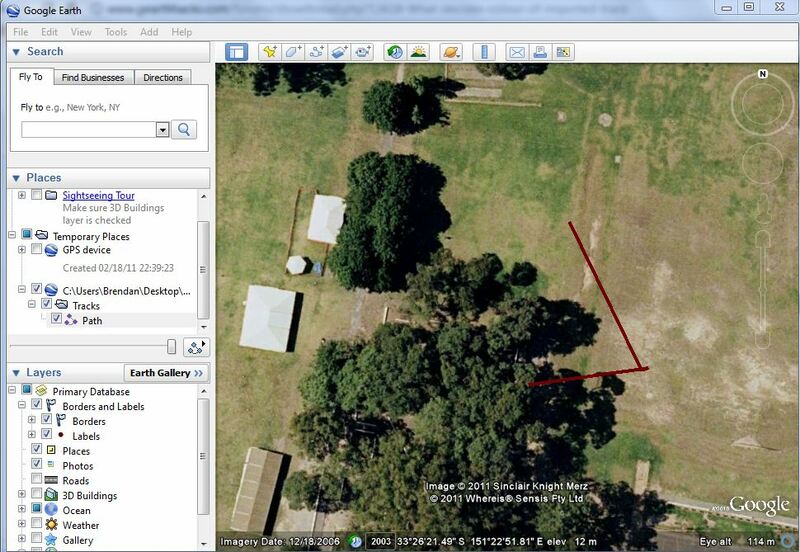 From what I’ve seen so far, you can upload multiple tracks from multiple students to Google Earth. Initially, the uploaded tracks would all be the same colour (by default). This issue is solved (I understand) by manually changing the colour of the individual tracks once you upload them. All this will be trialled and tested over the next few weeks by the kids and I. 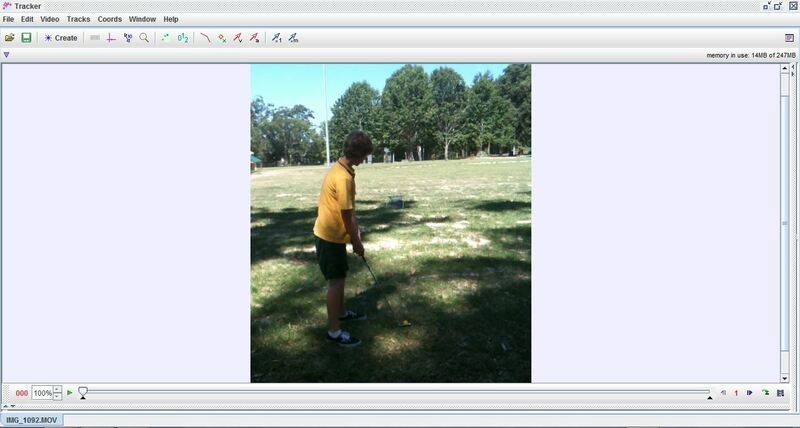 As I said, it started out as a way to make my PASS course more engaging, and allowing the kids to use use technology in a sport environment, in the way they see elite athletes using technology (Gator Tracker, for instance). The conversations won’t just be limited to what has already been recorded, but could be about how to improve movement around the field too. 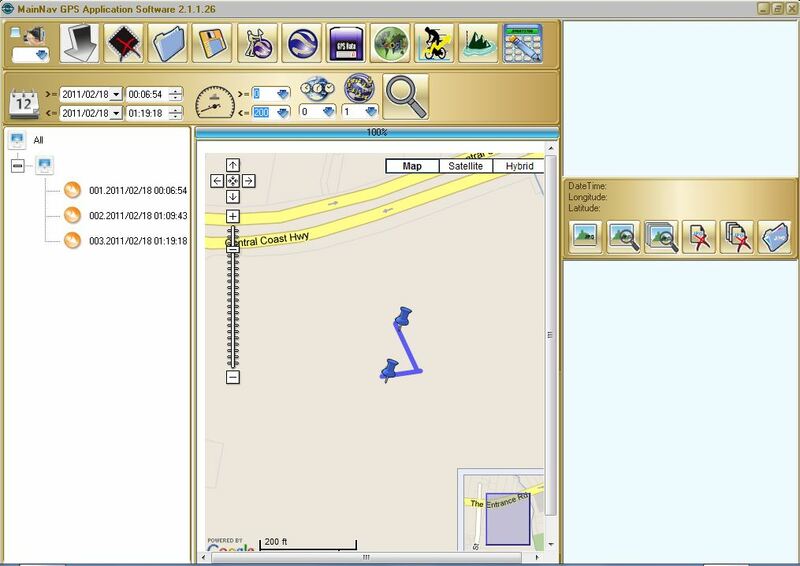 The GPS data analysis opportunities are exciting. I now see many more possibilities as well – creating bushwalk tracks, cycling routes and maps for our school Cross Country course, for instance. 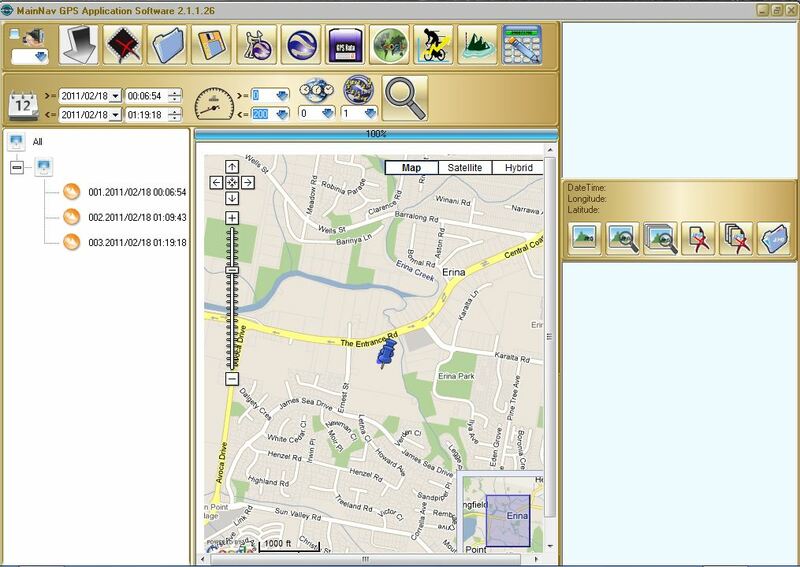 The kids could borrow them and create physical activity maps of the local area. As we discover and create applications, I’ll share our experiences. My thanks go to Jay Trevaskis (@jaytrevaskis) and @igitdog for the great conversation about using GPS in class after a bike ride at Ourimbah. The chat about your plans for the same sort of gear inspired me. Sorry if I stole any thunder! Tags: engagement, Google Earth, GPS	.